The energy used to operate buildings is one of the most significant sources of greenhouse gas emissions. While it is possible to reduce emissions through climate-responsive design, many architects are not trained to do this. Filling an urgent need for a design reference in this emerging field, this book describes how to reduce building-related greenhouse gas emissions through appropriate design techniques. It presents strategies to achieve CO2 reductions, with an emphasis on control of energy flows through the building envelope and passive heating and cooling strategies. This new, revised edition is updated throughout, and includes a new chapter on building simulations. Pablo La Roche is professor of architecture at California State Polytechnic University and Associate Vice President & Sustainable Design Leader at CallisonRTKL. Dr. La Roche has more than 25 years of experience in professional practice, designing and implementing sustainable, low carbon strategies in multiple projects of all sizes. La Roche obtained an architecture and a Master’s of Science degree at Universidad del Zulia, Venezuela and a PhD at the University of California, Los Angeles. His research interests include passive cooling systems, green roofs, low-energy, and low carbon architecture and has been funded by the California Energy Commission, the US Environmental Protection Agency, the University of California Los Angeles, and Cal Poly Pomona University, publishing more than 130 papers on these topics in conferences and technical journals. From 1994 to 1998 he was Associate Editor of the Journal Tecnología y Construcción in Venezuela and is member of the International Advisory Board of the Journal Informes de la Construccion by the Torrojas Institute in Madrid, Spain. He has been a guest lecturer around the world, a member of architecture competition juries, and a technical reviewer and session chair in international events and conferences for the American Institute of Architects (AIA), the Passive and Low Energy Architecture Association (PLEA), Architectural Research Centers Consortium (ARCC), U.S. Green Building Council (USGBC), and American Solar Energy Society (ASES) conferences. In 2013 he co-chaired the BESS SB13 conference in Cal Poly Pomona California, part of the regional Sustainable Building Conferences and in 2016 he chaired the Passive Low Energy Architecture PLEA conference in Los Angeles. Dr La Roche is a member of the International Advisory board of PLEA 2017 and PLEA 2018 conferences in Edinburgh and Hong Kong. He was also president of the Society of Building Science Educators (SBSE) and chair of the solar buildings division of the American Solar Energy Society (ASES). La Roche co-authored the book Keeping Cool: Guidelines to Avoid Overheating in Buildings, published by PLEA in 2001, and authored Carbon Neutral Architectural Design in December 2011 with a second edition in 2017. La Roche is a registered architect in Venezuela, and an associate AIA in the United States. He is also accredited as a Leadership in Energy and Environmental Design (LEED) BD+C professional by the U.S. Green Building Council. Among his awards are the Fulbright Fellowship in 1998 by the United States Department of State and the Chancellors Fellowship by the University of California Los Angeles also in 1998. He received the Volunteer IMPACT Award from the USGBC and the EDUCATE Prize in Europe, both in 2012, the National Council of Architectural Registration Boards (NCARB) Grand Prize for the department of Architecture at Cal Poly Pomona in 2008 and selected for the exhibit "New Blood: Next Gen" in the A+D Architectural Museum in Los Angeles, California in 2006. La Roche was co-Curator of the exhibit "Technology and Environment: The Postwar House in Southern California", supported by the Getty as part of the series Pacific Standard Time in 2013. His architecture projects have been published or received awards in the United States, Venezuela, Mexico, and Spain and his students have also received multiple awards in architecture competitions over the years. His 4th year topics studio was selected for the 2030 Curriculum Project as one of seven Innovative Courses in the 2016-2017 Academic Year. "This really is a must have book for architects and architectural students alike. La Roche builds on the sound and practical knowledge foundations of his mentors, scholars like Baruch Givoni and Murray Milne, to create a classic reference book for forward-facing, climate-savvy designers. It is a rich book full of answers and intelligence, and will no doubt become a good friend to many good designers. What sets it aside from other books in this field for me is firstly: the ecosystem level thinking it promotes, connecting the design of, and life within, buildings to the ecosystems around them and secondly: the international focus of the case studies, enabled by the author’s own experiences of growing up in Latin America, in a very different climate and society. These lend the text extra and invaluable dimensions." "Pablo LaRoche has spent his career as an architect, academic, and educator understanding and defining the pathway towards Carbon-Neutral Architecture. 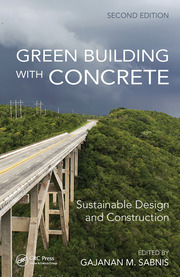 In this generation of transition, architects, educators, students, environmentalists, and those interested in a clean energy tomorrow need a field manual – or better said a battle guide – to help them understand the steps needed to achieve high performance, Zero-Net-Energy, and ultimately Carbon-Neutral Architectural Design. LaRoche has provided just such a manual. 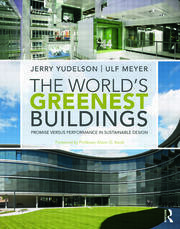 Carbon-Neutral Architectural Design belongs on the bookshelf of today’s practitioners and tomorrow’s." "LaRoche’s book, Carbon-Neutral Architectural Design, Second Edition, is especially significant at this moment in time because it accurately depicts the impact of buildings on the planet, without hyperbole, but with concrete and careful background and the necessary physics to deal with it. There are no claims that all the ice melts. There is the knowledge of what will happen, the recognition of whom that will hurt most and the guidance on how to reduce and prepare for that damage. I recommend it highly." 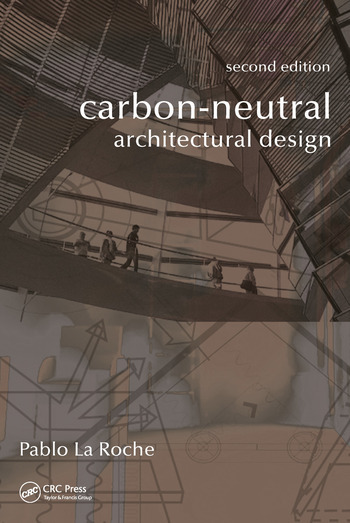 "Carbon-Neutral Architectural Design, Second Edition addresses the most important factor in acting on climate change: cutting energy demand by bioclimatic passive design. Where most books on energy performance focus on mechanical system design, this book proposes a thorough exploration of the what, why and how to design great performing passive systems starting with the most common of all features of a building: its skin." "Here is a comprehensive coverage of the various issues, tools and techniques, involved in designing energy efficient buildings, with the goal of minimizing the production of carbon dioxide. Some of this carbon dioxide is produced on-site by the combustion of hydrocarbon fuels, and some is produced off-site at power plants burning coal or natural gas to generate electricity. This book graphically illustrates how the building’s envelope can be designed to use the resources of the local climate to create comfortable spaces while minimizing the production of this potent greenhouse gas." "As we move towards necessary phase-out of greenhouse gas emissions from the built environment by 2050, architects must be equipped with the concepts and skills to design high performing, climate responsive, and carbon-neutral buildings. This book is an indispensable guide for preparing today’s professionals and the next generation of architects for the future of global design practice." "This book demystifies the process of designing toward carbon neutrality while affording the reader the tools necessary to make the right decisions for the benefit of future generations to come."